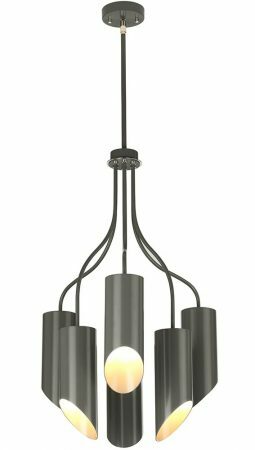 The Elstead Quinto 6 light modern chandelier in dark grey with polished nickel accents features clean lines and contemporary style. 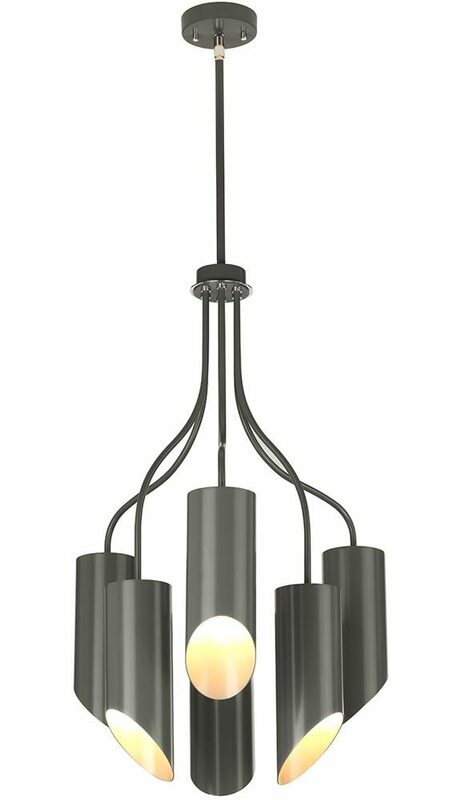 Circular ceiling mount and height adjustable rod, with lower gallery supporting six downward facing slash-cut cylinder shades. Supplied with two 30cm, two 15cm and one 7.5cm rods that can be used in any combination. 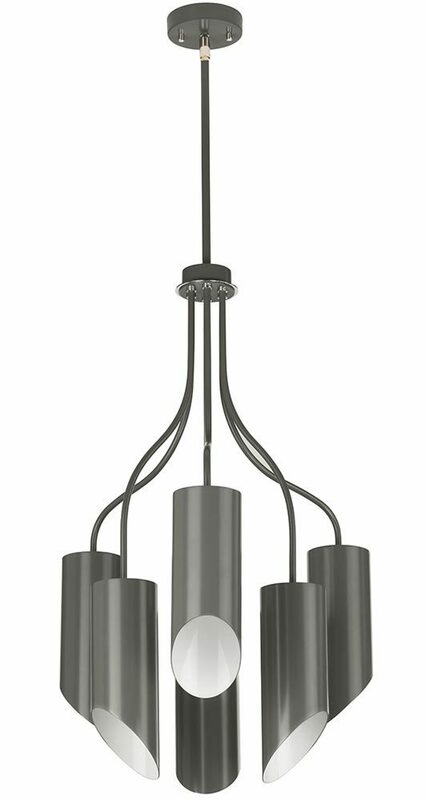 This modern chandelier is designed and supplied by Elstead Lighting, a British company that specialise in the manufacture and distribution of quality decorative lighting such as the Quinto 6 light modern chandelier in dark grey with polished nickel accents you see here.